In the five years she has worked in broadcast journalism, Hadeel al-Yamani has faced more hardship than most people face in their entire careers. 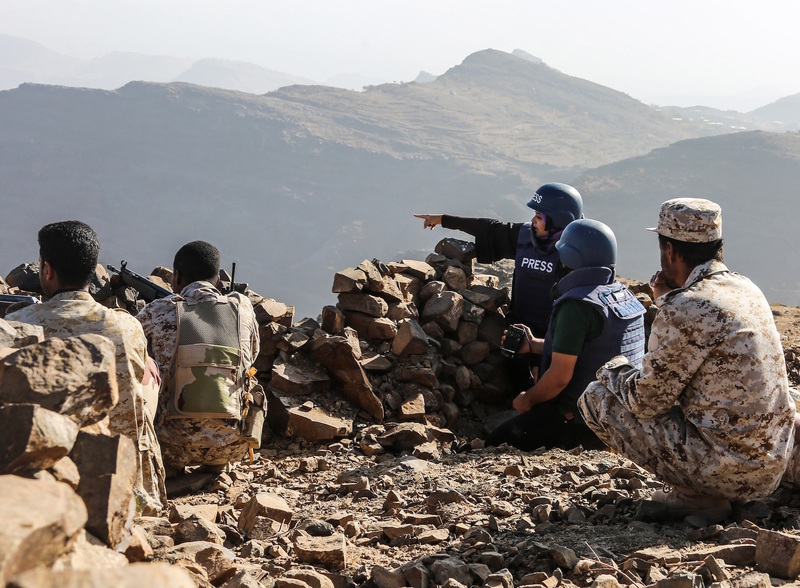 The Yemeni reporter has worked near the front line of the civil war in Yemen for the past two years, surrounded by tanks, gunfire, and members of the Houthi militia. She has been detained, had equipment confiscated and has narrowly missed being shot. She often travels many hours per day in mountainous terrain where there are no services or safe places to rest. 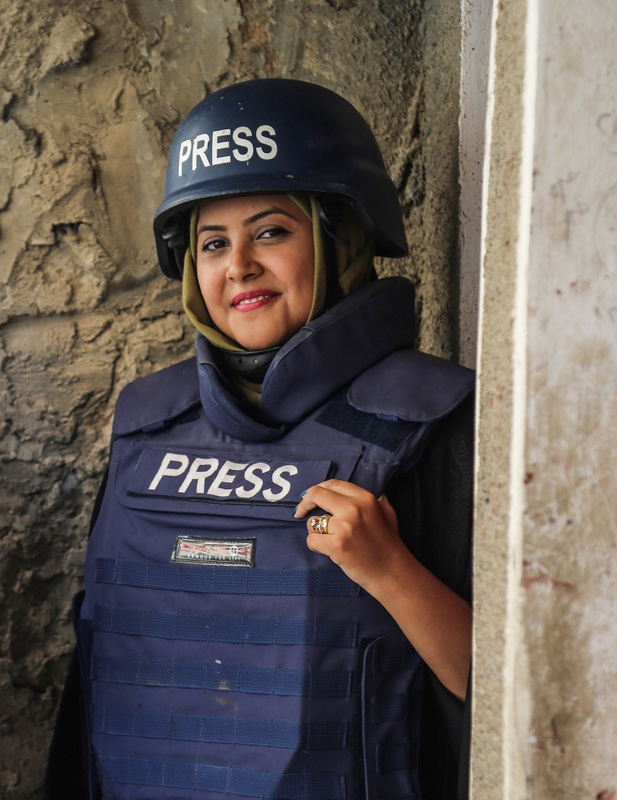 Al-Yamani, a 2017 IWMF Courage in Journalism Award winner, also does a job that no one before her has done: She is the first woman television correspondent for Al Jazeera Arabic (AJA) in Yemen. And she landed the job when she was only 21. Today, at age 25, she embraces the risks of conflict reporting even though she didn’t originally sign up for them. She started with AJA during the relative lull between the Arab Spring and the open conflict that would come later. When the Houthi militias started creating unrest in Yemen in 2014, she worked with colleagues to cover it. The conflict escalated, destabilizing the government and leaving the country on the brink of famine. When a colleague fled the country after having been abducted by the militias and released, she stepped into his position, moved to Taiz, and became AJA’s newest war correspondent in Yemen. According to Rafiah Al Talei of the Al Jazeera Center for Human Rights and Public Liberties, who nominated al-Yamani for the award, the streets of Taiz city are a battleground for Houthi and pro-government militias. There is no electricity or public water. When reporting in this environment, she said, al-Yamani is the only woman present, yet remains “steady as a rock” — dedicated to sharing what is happening in her home with the world. She has been fortunate — six other journalists are among the 10,000 citizens that have been killed during the two-year conflict. According to Al Talei, citizens too grumbled that she was working where she did not belong. Once they saw her reports, however, many have come to respect her. With a velvety voice that makes her a natural for broadcast, al-Yamani said that the bloodshed she sees regularly motivates her to cover the human side of the war — how it affects women, the hunger crisis, and more. “Sometimes it is easier for me to delve into certain areas inaccessible by men. I’m able to cover stories that male journalists cannot,” she said. Women “can convey the humanitarian reality to the entire world.” And, as Al Talei put it, give overlooked populations a voice. She’s also humble. She reinforced that there are other women journalists in Yemen who do amazing work. Al Talei is one of them. If she’s viewed as a trailblazer, al-Yamani said, it’s largely because she’s working in a war zone and because her reports reach international audiences. One day she hopes she can move past covering bloodshed, killing, siege and war. “Yemen is full of beautiful things. We are life-loving folk, and we want to live. I’d like to report on these beautiful aspects of my country,” she said. “My advice for other female journalists is to be patient and courageous,” al-Yamani said. And to summon their willingness to report on humanitarian causes. “Because they are worthy of our courage,” she said. 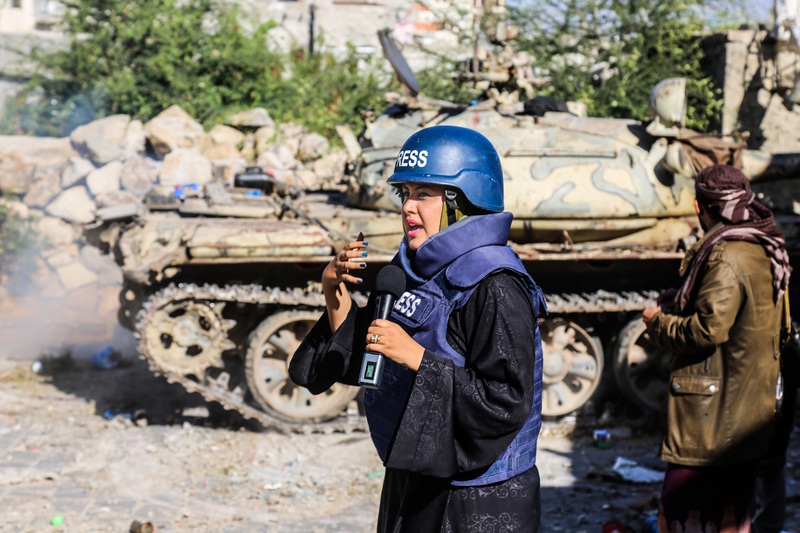 Hadeel al-Yamani reporting in the field. Al-Yamani reporting in the field.